This adapter is a perfect accessory for your notebook, HP Compaq desktop computer, monitor, and various audio/video devices. By connecting the adapter to the DisplayPort, you'll acquire an HDMI 1.4 slot, enabling you to connect with an external monitor or projector. HDMI F, DisplayPort M Done! 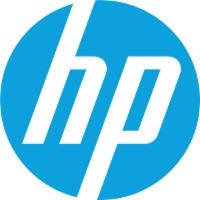 For shipping to other EU countries visit this page HP DisplayPort to HDMI 1.4. Für Versand nach Deutschland, besuchen Sie bitte HP Displayport zu HDMI 1.4. Chcete doručit zboží do Česka? Prohlédněte si HP DisplayPort na HDMI 1.4. Chcete doručiť tovar na Slovensko? Prezrite si HP DisplayPort na HDMI 1.4. Für Versand nach Österreich, besuchen Sie bitte HP Displayport zu HDMI 1.4.